Mandai FoodLink @ District 26 will be developed into 11-storey building which comprises of 87 units of B2 food factories and 1 staff canteen ranging sizes from 1851 to 4026 sq ft, every unit is well designed and has a ramp up for your transportation all the way to your own unit. The 30 years leasehold Mandai FoodLink which sits on a 6, 891.2 sqm is a rare opportunity for investors or food industrial owners as JTC constantly leased out their food factory instead or selling. Each food industrial unit will boost a high ceiling of 7 metres as well as comes with mezzanine fittings. In industrial applications, mezzanine floor systems are semi-permanent floor systems typically installed within buildings, built between two permanent storeys. 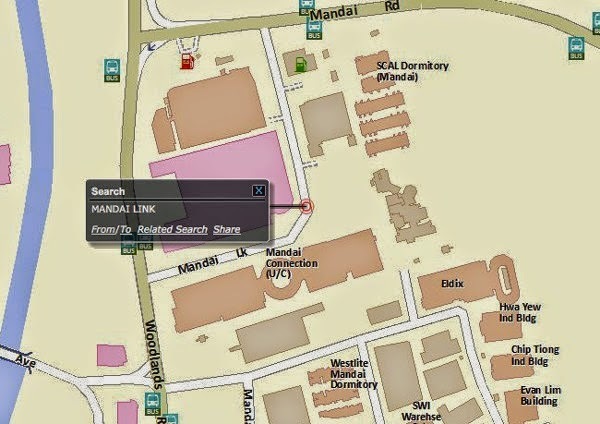 Mandai Foodlink is located in a strategic area of Woodlands road and is well connected by main expressways like the Pan ISland Expressway (PIE), Seletar Expressway (SLE), Tampines Expressway (TPE), Bukit Timah Expressway (BKE) and Kranji Expressway (KJE) this will allow manufacturers to deliver their products efficiently and timely. Mandai Foodlink is also easily accessible by bus as well as MRT providing convenience to workers who do not have their own transport via nearby Woodlands MRT station, Marsiling MRT station, Yew Tree MRT station and Bukit Panjang MRT station. Check out Mandai FoodLink Floor Plan for more details or call the marketing team for queries.